Shake the scrambler, then race to slide your colored panels to mimic the pattern. Be the first, shut the frame, and win. 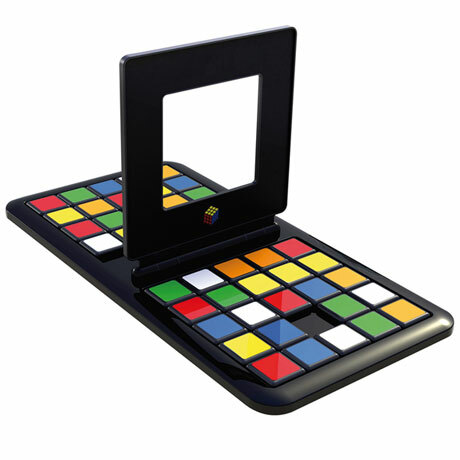 The ultimate head-to-head Rubik's battle, this two-player game is challenging, fast, fun, and different each time you play. 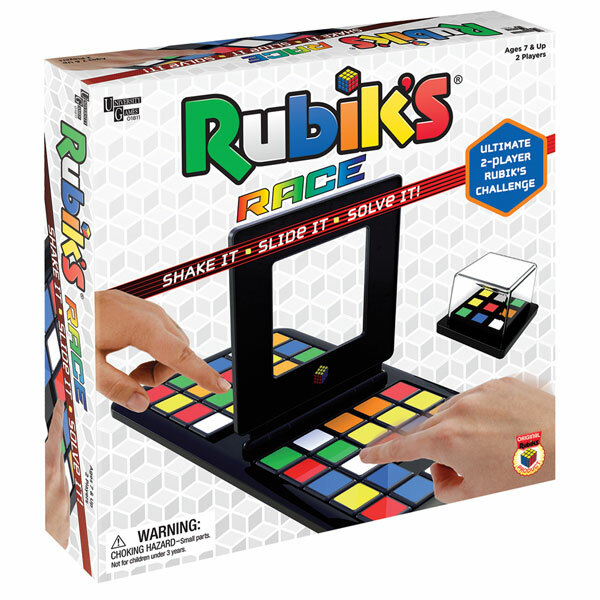 Comes with game base, 48 colored tiles, scrambler, mini-cubes, and instructions. For 2 players, ages 7 and up.